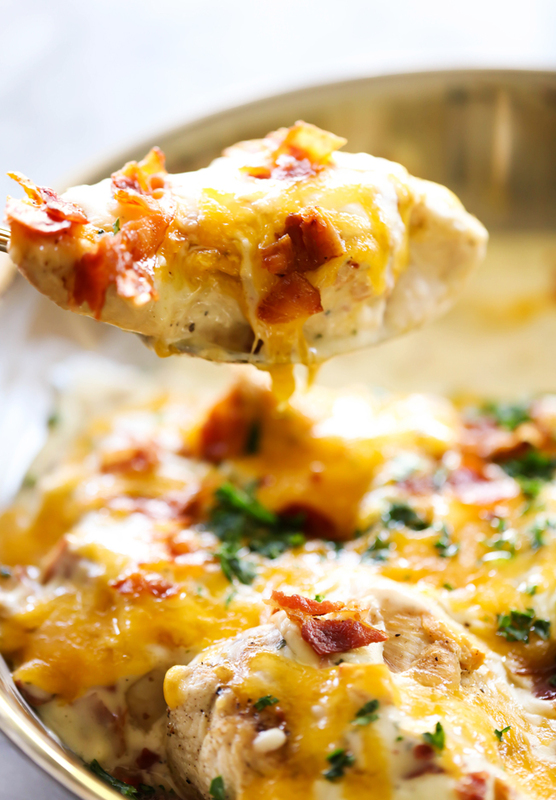 This Skillet Cheddar Bacon Ranch Chicken is so flavorful and so delicious! It will become an instant new family favorite! The flavors and ingredients work so well together! Cheddar, Bacon and Ranch are three ingredients that were meant for each other. 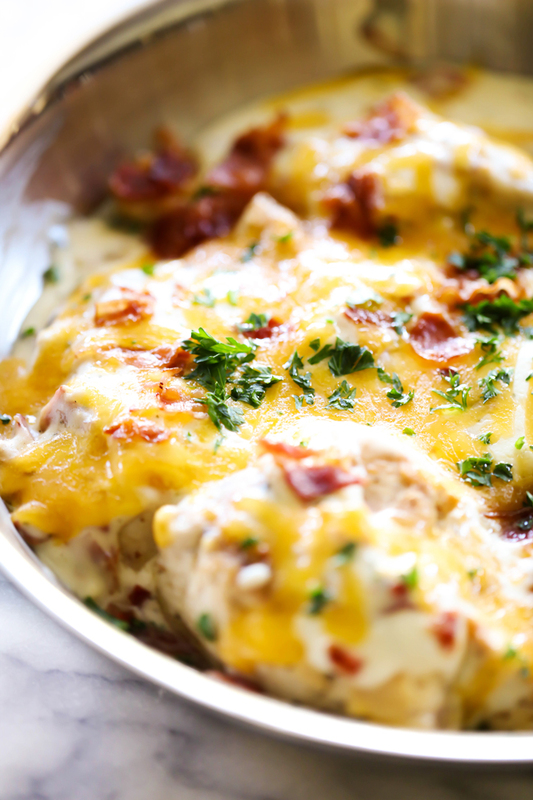 One of my most popular and favorite recipes on the blog is my Cheddar Bacon Ranch Chicken Pasta. It is a huge crowd pleaser and a family favorite. This skillet chicken will blow your mind! The sauce is unbelievable and the entire meal is SO easy to make! It is all made in the same pan making clean up super simple. If you are on the hunt for your next favorite meal, give this recipe a try! You will and everyone who tries it will be SO glad you did! In a large zip lock bag combine ranch dressing and buttermilk and mix well. Add chicken and refrigerate for 4 hours or over night. In a large skillet add oil heat over med high. Add chicken. Cook on each side for 3 minutes. Reduce heat to medium and cook chicken for another 10 minutes or until chicken is done and cooked through. Remove chicken and cover with foil and set aside. Add the butter to sauce pan and melt and then add flour. Cook for 1 minute and then add half and hal and ranch envelope. Stir in 1½ cups of bacon and bring to a boil. Add the chicken back in. Top with the cheese and sprinkle the remaining bacon and green onion. How much is the 1.4 Butter and the 1/4 Flour? I am guessing 1/4 Cup each?